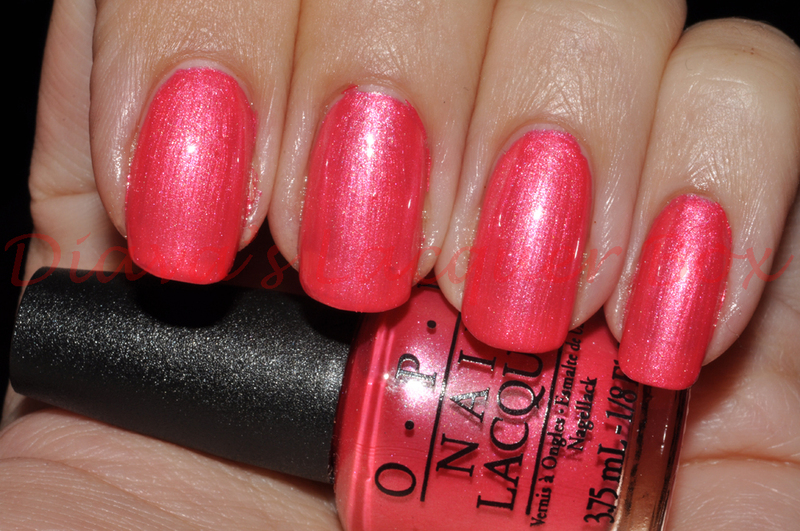 Come to Poppy is a bright coral pink polish, with touch of subtle pearly shimmer. This colour instantly reminded me of Flower To Flower from OPI's Summer Flutter Collection last year, a colour I absolutely loved, however on closer inspection you can definitely tell they are far from dupes, Flower to Flower is more pink toned, but the subtle shimmer effect is similar. 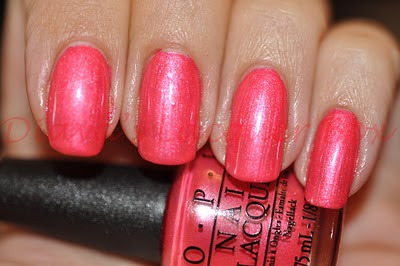 Formula was perfect, nice thick application and opaque in 2 coats!